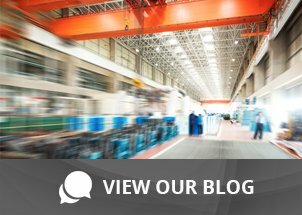 Upgrade your mobile PCs in the field | Taylor Data Systems, Inc. Your mobile business apps evolve relatively slowly, but PC technology can change in the blink of an eye. If you already have or are considering investing in a mobile business app and the mobile PCs to support it, you’ll want to protect that investment by ensuring that your devices will operate well even if the operating system evolves—or disappears. It’s not unheard of for software companies to discontinue support for an entire operating system—consider the recent sunset of Windows® Mobile as a case in point. Given the uncertainties of technology, it may be time to upgrade your mobile PCs to ensure long-term support and flexibility. If so, consider the Honeywell CN75 or CN75e mobile handheld computers. Here’s why. 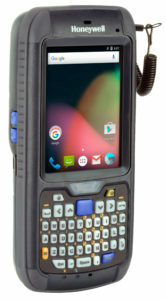 The CN75 mobile handheld computers operate using both the Windows and Android™ operating systems on a single device. This operating system flexibility ensures that your devices will continue to add value to your operation regardless of the operating system life cycles you can’t control, and ensure that your mobile enterprise applications keep running. Industrial mobile devices must be able to withstand harsh conditions, and the CN75 is up for the challenge. It can survive an 8-foot drop to concrete more than 2000 times without an issue. It’s sealed to keep out dust and moisture so it can operate reliably in even the most unforgiving environments where lesser PCs would fail, and it operates in temperature extremes ranging from -4° to 104° F and up to 95 percent humidity. Despite its ruggedness, the CN75 is easy to hold. Its length and width are similar to most consumer mobile devices, but it’s 1.34 inches thick to provide the protection it needs for reliability in an industrial environment. It weighs about a pound with the battery, so it can be used all day without fatigue. The high-durability Gorilla Glass color touchscreen is strong, bright and easy to read, with a back light and ambient-light sensing for automatic dimming under bright lights to improve readability. It also includes a 5-megapixel camera for sharp images, and an accelerometer for motion sensing. The CN75 includes built-in GPS for tracking and location sensing. It has wireless WAN/LAN and supports CDMA, UMTS and GSM for compatibility with multiple mobile networks, and it supports WEP, AES and TKIP encryption for security. The built-in EA-30 high performance motion tolerant bar code scanner ensures fast, accurate scanning under a variety of conditions, including variable lighting. It can read all 1D and 2D bar codes. The Honeywell CN75 has mobile PC specifications that can support almost any business application, but ideal for field service and other on-the-go field applications where speed and accuracy are a priority. With a Texas Instruments 1.5 GHz OMAP 4470 dual-core, multi-engine processor, 2MB of memory and 16 GB of flash memory, it’s a real powerhouse. It also supports memory expansion with micro-SD cards up to 32GB. Sound intriguing? Learn more about it here.